You don’t have to be getting married to enjoy a turmeric face mask! 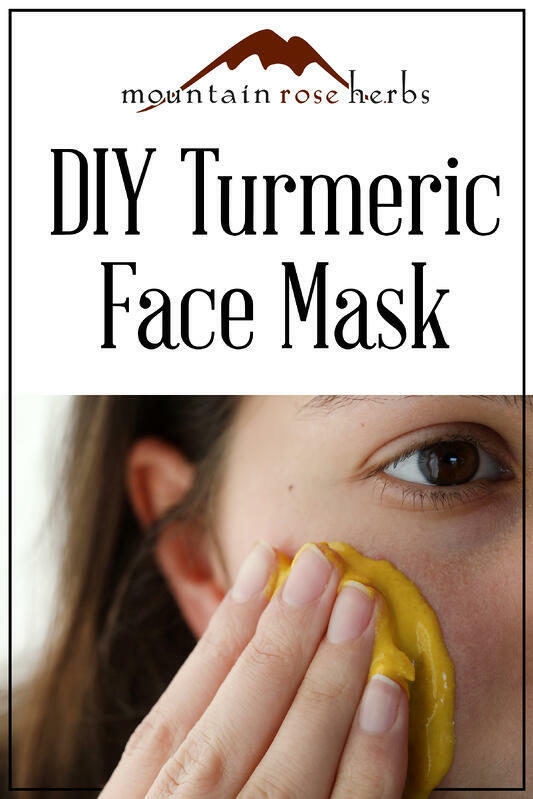 Many people use homemade turmeric masks on a routine basis. Some have found that the simple mixture of natural ingredients helps create a subtle facial glow and a more even tone in the skin. In this mask, turmeric is prized for its many healthful qualities, the milk/yogurt helps to keep moisture in the skin after removing the mask, and the chickpea flour is wonderful for exfoliation. Of course, everyone’s skin is different, and it’s important to do what feels best to you. If you love exploring the golden opportunities of turmeric, then give this recipe a go! Otherwise, you might like to explore other skin care options like our cosmetic clays or this Ayurveda-inspired face mask using neem and triphala. This simple recipe uses traditional ingredients as well as one unique ingredient: organic turmeric hydrosol! I love how the hydrosol adds a wonderful freshness to the dried powders used in the mask. However, it can be omitted if desired, and the other ingredients can also be adjusted to your liking (see “Variations” below). Whisk ingredients together to form a thick paste (there should be no lumps, and it should feel soft and sticky). Apply to face with hands (or a thick brush) and let dry 5 to 10 minutes. Pat dry with dark-colored face towel and re-hydrate face with facial toner or facial oil. If you feel there’s still some mask left on your face, refer to our guide to oil cleansing to ensure that all the turmeric and chickpea flour is removed. If you’ve never used turmeric powder on your skin before, then I highly recommend doing a “patch test.” After step one in the directions above, apply a small amount of the paste to your arm (or somewhere with less sensitivity than your face). Follow steps two through four, and if you feel that your skin did not react negatively to the paste, you can try the mask on your face. 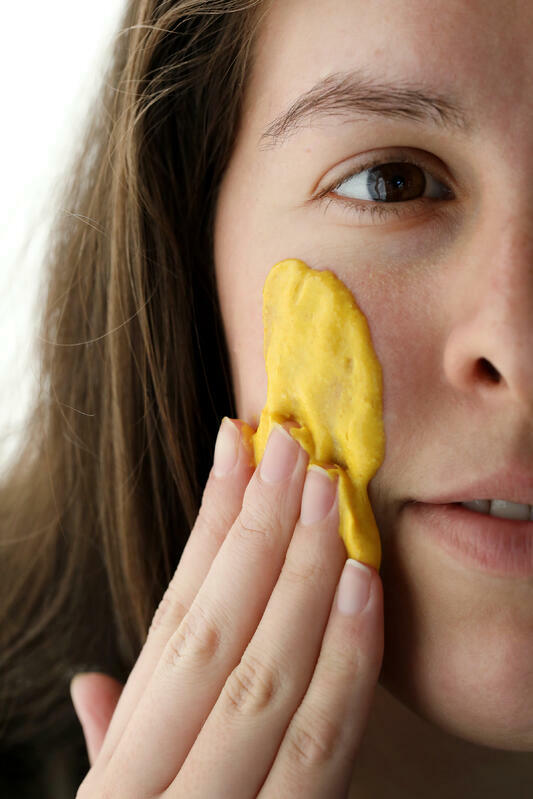 If you’re worried that turmeric powder will leave a stain on your skin, then I suggest doing a “patch” test (see above) in addition to decreasing the proportion of turmeric powder used in the recipe. For example, in the recipe above, you could start with 1/4 teaspoon turmeric powder, and if you are satisfied with the results, you can increase the proportion to a full teaspoon. In this recipe, mixing the turmeric with chickpea flour and yogurt reduces potential stain. I suggest being cautious of other recipes that include turmeric without other dry ingredients. 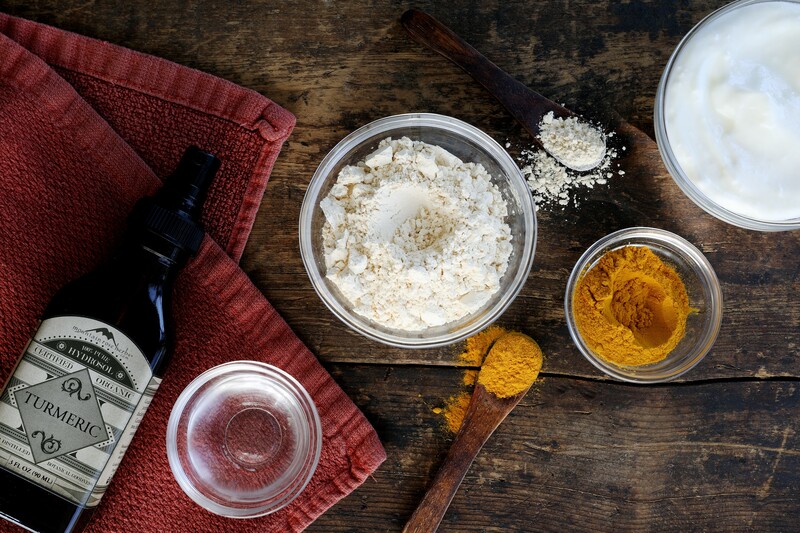 Registered Nutrition Specialist (RHN) Julie Gabriel, uses fine sea salt in the turmeric mask recipe from her book, Green Beauty Recipes. 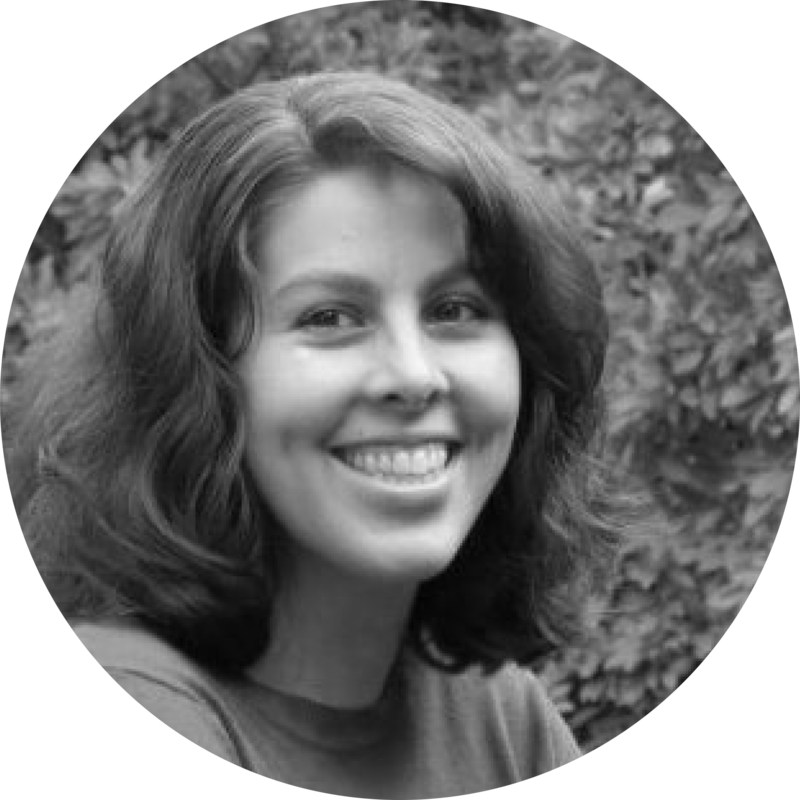 JJ Purcell uses aloe vera juice and honey in her turmeric face mask recipe, which can be found in her book, The Woman’s Herbal Apothecary. Renowned herbalist Rosemary Gladstar likes turmeric too! In her book Medicinal Herbs, she uses organic goldenseal root powder alongside turmeric powder for a healthful skin paste. LOOKING FOR MORE HERBAL FAcial Inspiration? Try This Easy Ayurvedic Face Mask!